Slice Of Slim: Hot Off The Press NEWS! 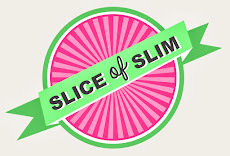 : Slice of Slim Launches YouTube Channel! Hot Off The Press NEWS! : Slice of Slim Launches YouTube Channel! I'm very excited and proud to have launched my very own YouTube channel this week! Click HERE for the link to it. Please like and subscribe to the channel, then you will get updates every time I make a new film. I'll also post links on Facebook and Twitter. This is the biggest thing to have happened to Slice of Slim since I started writing my regular column for WeightWatchers (UK) magazine. It means that I can bring some of my favourite recipes to life for you. You can now see me in action in the Slice of Slim kitchen! My very good friend, Matthew Curtis (hairdresser extraordinaire) made this all possible for me by sponsoring my introductory and first recipe demo films. As you know, I'm not paid to write my blog, so it's thanks to the love and support of my family and friends that I continue on my quest to bring you gorgeous, inspiring foods to help you all on your own weight loss journeys. I'm so grateful to everyone who has been there for me-my daughter who helped me to set up the blog and designed my gorgeous logo. Now my son is also on board as he wrote and produced the original soundtrack in my films. Thanks to Jake Bishop too-a talented young film-maker who collaborated with me to produce the films and with some really original ideas-how did he make three of me appear at once? Finally, a big thank you to all of you loyal followers....you give me such amazing feedback on a daily basis and have supported me all the way...watch this space for more funky films!